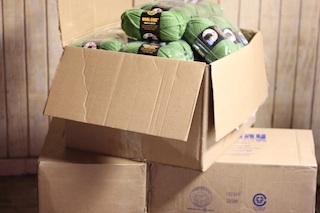 The yarn is finally here! Thank you to Peggy and the crew at Beverly's for their extra efforts towards the end. It could have taken even longer! We will be hosting a knitting gathering at Beverly's craft store on Balboa sometime next week. I will post the details once I know them.